Fati Moussa, 27, stands outside her shelter at the Dar es Salaam refugee camp in Baga Sola, Chad on February 17, 2017. Moussa originally from Baga, Nigeria, fled across the lake to Baga Sola after surviving one of Boko Haram's worst massacres in January 2015. Unable to farm she and her family survives on the charity of other refugees and the limited aid provided by under-funded aid agencies. The Boko Haram crisis was originally contained within northeastern Nigeria, where the extremist group focused their terror, but in 2015, as the regions multinational force began to close in on its areas of control, Boko Haram crossed borders and started to target neighboring countries. 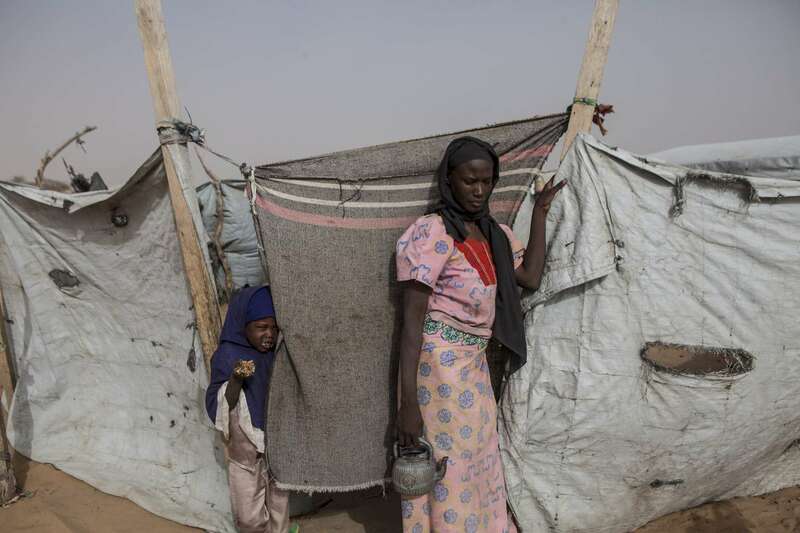 The spread of the crisis from NE Nigeria to its neighboring countries surrounding the Lake is resulting in one of the largest humanitarian crisis in the world.